The Federal Trade Commission, wrestling with a proposed $4 billion merger of Staples and Office Depot, took the unprecedented step today of opening up the Internet to public comment after a Ralph Nader group petitioned it. The unusual action could add a new element to the decision, in which Office Depot and Staples have sought to make their case for merger through full-page advertisements in major newspapers. "Awesome," said James Love of Nader's Center for the Study of Responsive law, who had written the petition, as he looked at the page. 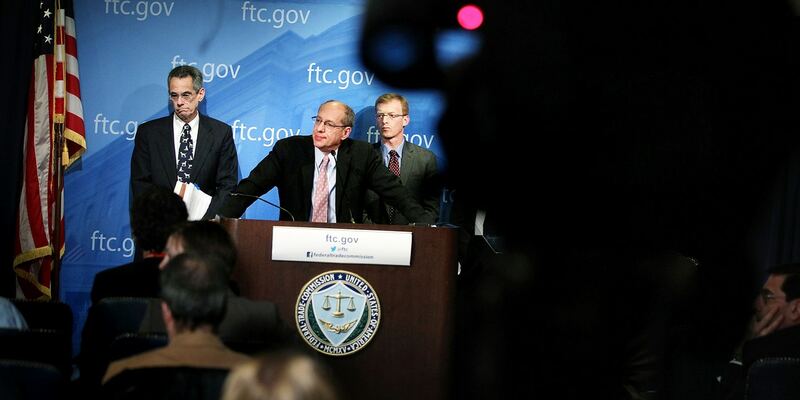 "I believed this is the first time the FTC has ever used the Internet to seek consumer comments on a merger." On Monday the commission voted 4-1 to ask a Federal District Court to block the merger of the two office superstores. Then Office Depot and Staples added a new dimension Wednesday with a highly publicized agreement to sell 63 stores to the other player in the office superstore field, OfficeMax. Now the FTC is trying to decide whether to accept the divestiture and permit the deal to go through. The new channel for public comment is easily reached from a link on the FTC home page at www.ftc.gov and marks another expansion of the commission's presence on the Web, which has grown in the past year to include speeches, rulings and other information. But in the past, although the FTC invited comments to its consumer complaint bureau on its Web page, it made no similar invitation on merger cases. Then the Nader group asked the FTC to permit public comments on mergers, both generally and with a specific focus on the Staples case. Until now public comment at the FTC has been a narrow affair. Senior officials there held the view that public comment need be considered only very late in the process, and when it was invited, there was not much. Even highly publicized cases, such as the deal that created media giant Time-Warner, drew only dozens of comments.